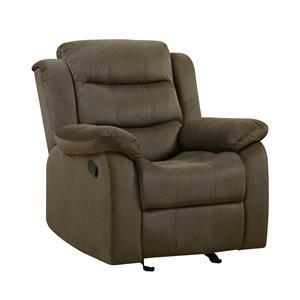 This rocking recliner is unmatched in comfort and durability. 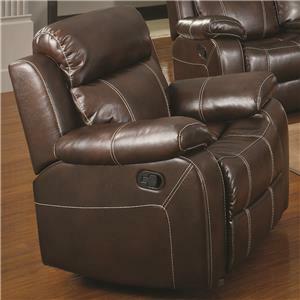 Made of leather, this recliner creates easy relaxation with its outside handle activation. 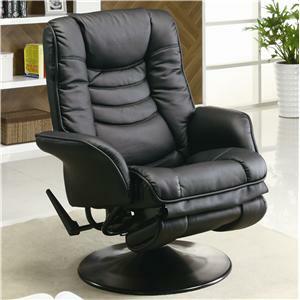 Simply pull the handle and lean back to experience extreme luxury. 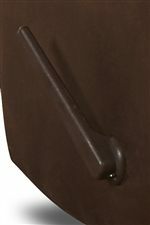 Flared arms are welted, while the attached back and seat cushions are tufted and stitched for added design elements. 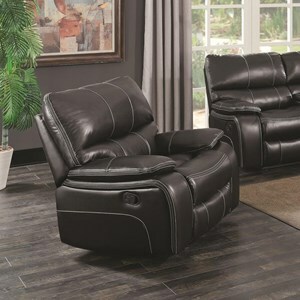 The Schwartz Casual Leather Reclining Rocking Chair with Attached Back Pillows and Outside Handle Activation by Klaussner at Value City Furniture in the New Jersey, NJ, Staten Island, Hoboken area. Product availability may vary. Contact us for the most current availability on this product. 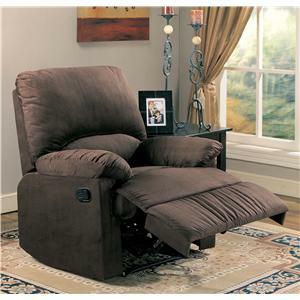 Cozy up with the casual Schwartz collection and find total comfort and easy recliner use. 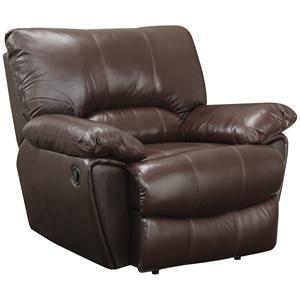 These recliner chairs feature either an outside handle or power button for reclining, so you can choose the option that best suits you. 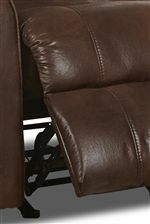 Flared arms are welted, while the back and foam seat cushions are tufted and stitched for added design elements. 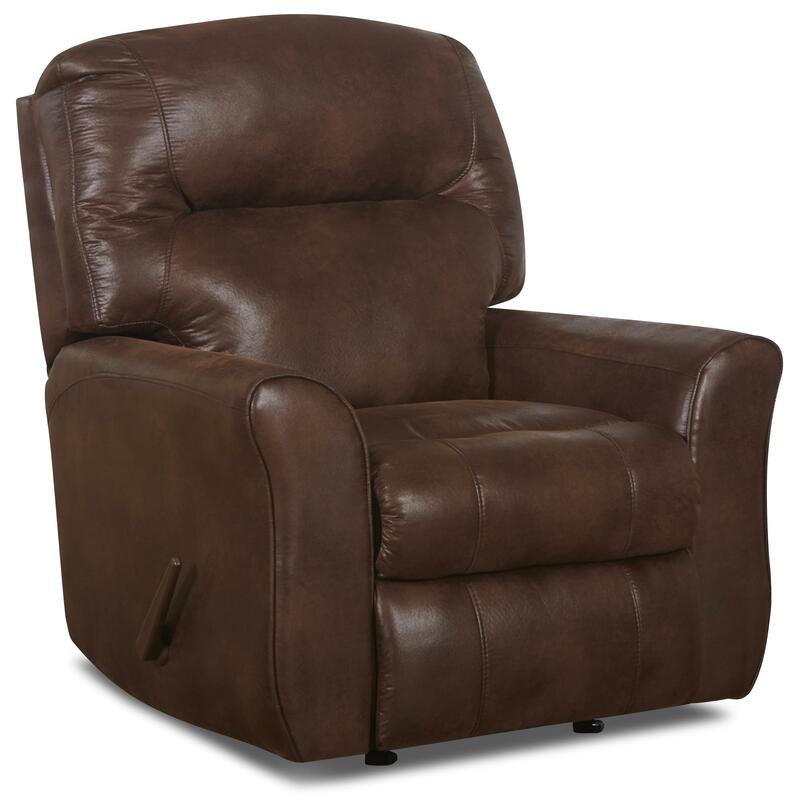 There is a wide variety of base options to choose from in the Schwartz collection, all with equal levels of luxury and comfort. The Schwartz collection is a great option if you are looking for Casual furniture in the New Jersey, NJ, Staten Island, Hoboken area. 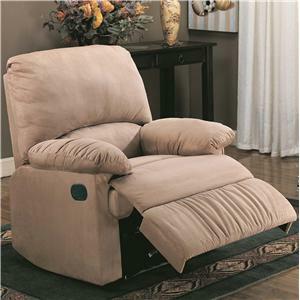 Browse other items in the Schwartz collection from Value City Furniture in the New Jersey, NJ, Staten Island, Hoboken area.